Part 69: Jezebel. The name of Jezebel, wife of Ahab and Queen of Israel, has gone down in infamy. She is infamous for leading her husband, Ahab, to worship the Canaanite god Baal. She is depicted in the Bible as an evil, deceitful and murderous queen who used her power to bring destruction upon Israel and God’s people. Her name is so synonymous with being in opposition to God, that John of Patmos used her name to symbolize a person (or people) within the church at Thyatira who were turning the church away from Christ. Before we can evaluate the Queen herself, we really need to have a bit of background on her. She was the daugther of Ithobaal I (make note of the last portion of that name) who was the king of Tyre, a city in Phonoecia. During his rule, all of Phonoecia, including Sidon, was unified. If you haven’t already thought of this, Phonoecia is the land that came up with one of the first alphabets that allowed for them to improve communication between themselves and those they traded with. In fact, the English and other alphabets owe their thanks to the Phonoecians. According to the ancient Phonoecian historian Menander of Ephesus (cited by the Jewish historian Josephus), Jezebel’s father was a priest of the ancient Canaanite god Astarte prior to becoming king. This means that Jezebel grew up as the daughter of a priest and was, no doubt, steeped in the religious traditions of her father and people. This would also explain why Jezebel was persistently proselytizing her husband in the ways of her own religious beliefs and traditions. While this certainly made her unpopular among the those faithful to the God of Israel, one can hardly blame her for her devotion to her religious traditions. So, out of fairness, let’s put the fact that she proselytized her husband aside and look at some of the other things she was known for. Once she became queen, Jezebel wanted all of Israel to worship Baal and wanted the Canaanite religion she observed to become the national religion that all Israelites must observe. She ordered the deaths of anyone who stood in the way of that. Thus, she murdered all of God’s prophets who obviously objected to her and her husband leading the people of Israel astray. In their place, she appointed her own priests and prophets of Baal. In fact, when Elijah stood against the 450 prophets of Baal, he noted how he was the only one of God’s prophets left. Jezebel was someone who would not take no for an answer and was someone whose power had long gone to her head. The Bible even states that she ordered the death of a local farmer after he refused to sell Ahab his vineyard. 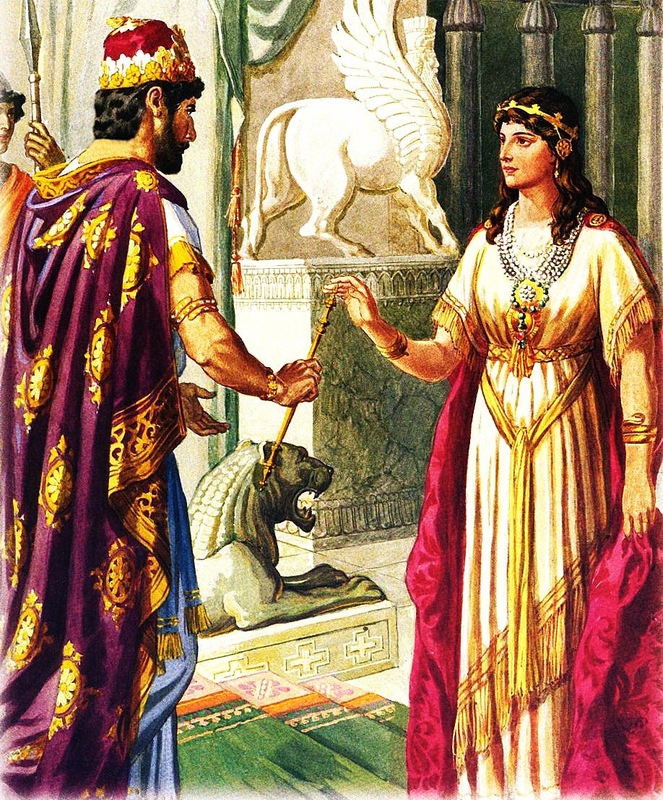 We cannot be sure how much of the rhetoric in the Bible depicts who Jezebel was and how much it depicts how she was perceived to be from the vantage point of faithful Jews; however, one thing is for sure: the Biblical account lines up well with the historical record of her devotion to Canaanite gods and, like all people in power, it is not hard to believe that she would get rid of anyone who stood against her as a political or religious opponent. In fact, politics and religion were not separate in the ancient world but were very much one and the same thing. In the end, Jezebel’s opposition to God’s prophets and her political ambitions led not only her husband but also herself down a destructive road. While she may have outlived her husband, her fate soon followed his. Following being anointed King by the prophet Elisha, Jehu had Jezebel thrown out of a palace window, where she laid a bloody mess, was trampled on by horses, and was eaten by stray dogs. Eventually, the king had her corpse removed and the mess cleaned up. Pleasant, I know. This, my brothers and sisters, is where unwavering commitment to political viewpoints and dogmatic worldviews end up. Jezebel’s unwillingness to be reasonable, fair, honest and just was her own downfall. Those who live for politics, die by politics. Those who live for the sword, die by the sword. Those who live for God may surely experience death, but they never truly die, for in God rests eternal life. Let us be challenged to evaluate ourselves. Are we open to the grace of God? Do we allow the Holy Spirit to work godly change in our lives? Do we seek to represent God in all that we do? Or, are we seeking our own way, worshiping our own ambitions, and, ultimately, leading others to do the same? Let us lay down our idols, repent of our sin, and turn back to God who calls us with open arms. Lord, allow me to use the story of Jezebel as a means of evaluating my own life. By your amazing grace, restore me to righteousness and use me to bring love, peace, hope, healing, wholeness and justice to all. Amen.